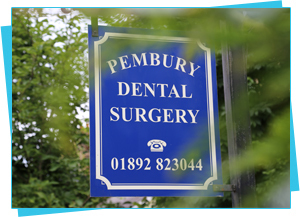 Pembury Dental Surgery was established in the village of Pembury, near Tunbridge Wells over 40 years ago. We strive to offer the very best in dental care and hygiene to patients from Pembury and the surrounding areas. Our caring team is led by Mr Nelis du Plessis who became the principal dentist at Pembury Dental Surgery in 2003. In 2008 our practice was completely refurbished with the most up-to-date dental equipment. We now have two fully equipped surgeries that enable us to provide a full range of modern dentistry and dental hygiene services. At Pembury Dental Surgery we believe that providing treatment should not be a daunting or stressful experience. Our services are tailored around your individual requirements and we have a warm and friendly atmosphere in which we aim to make our patients feel as welcome and comfortable as possible. Situated in Pembury, just outside Tunbridge Wells in Kent, our dental surgery is ideally located to provide a wide range of dental treatments and hygiene services to patients throughout Kent including Sevenoaks, Borough Green, Brenchley, Matfield, Tunbridge Wells, Pembury, Lamberhurst, Crowborough, Paddock Wood and Tonbridge. We are conveniently situated on a number of bus routes which provide a good service to Pembury and the surrounding areas. On street parking is available on Hastings Road. Our surgery is located on ground level and we are able to offer disabled access and facilities. If you have any special requirements, please call in advance to ensure we are able to meet them. Call us today on 01892 823044 or visit us at our surgery in Pembury to book an appointment. Registered Address: 67 Hastings Road, Pembury, Tunbridge Wells, Kent, TN2 4JS.